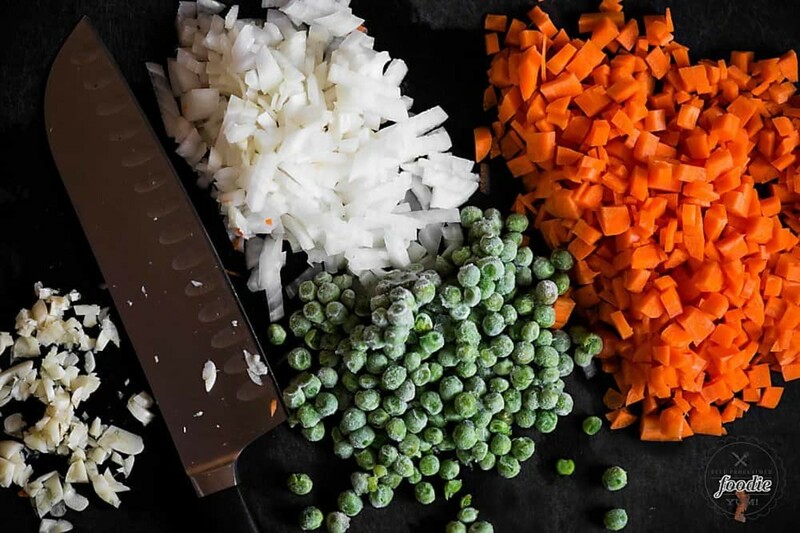 Chinese fried rice is traditionally made with white rice, diced onion & carrots, green peas, egg and soy. Other ingredients have been added over time but those are the most basic components. 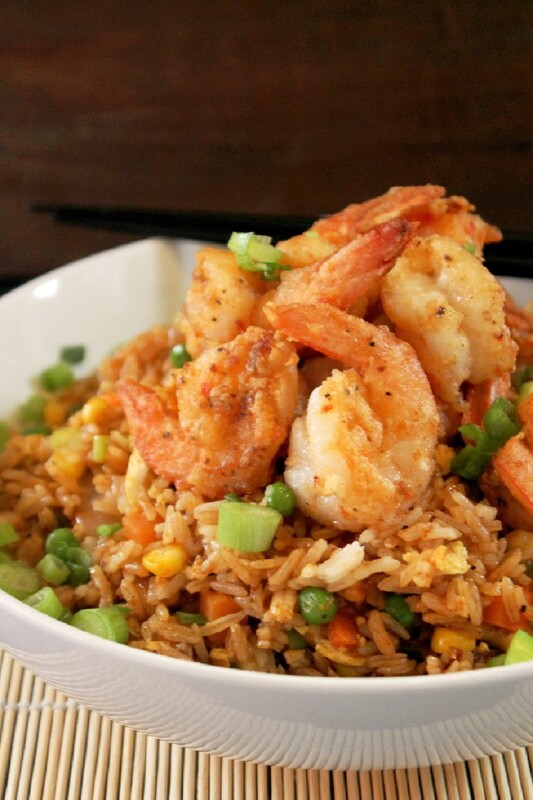 Over the years Chinese fried rice became very popular in the states as it was fast, delicious and filling. 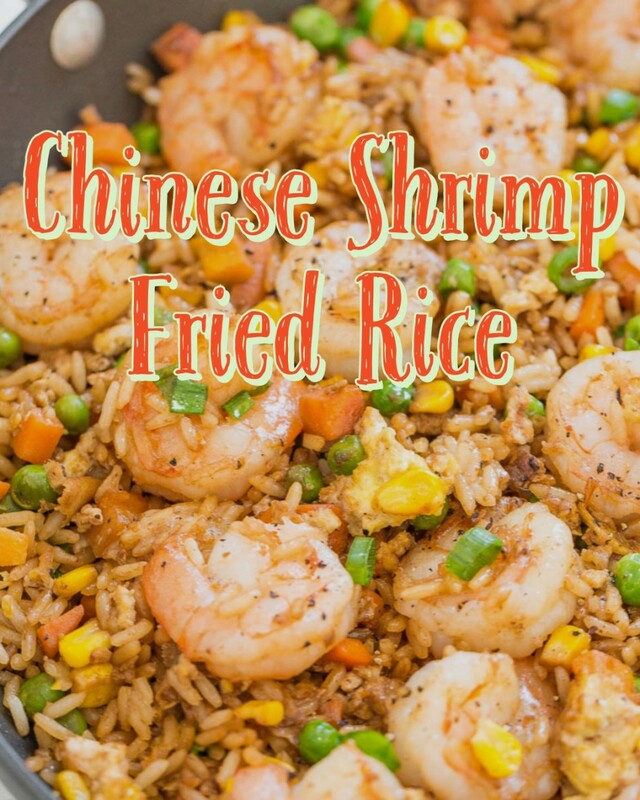 Some variations of fried rice include vegetable fried rice, chicken or pork fried rice and for the purpose of this article, shrimp fried rice. 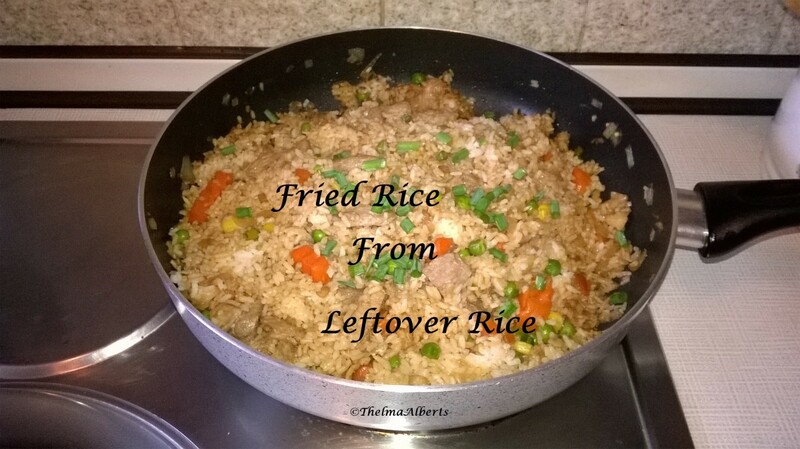 Nearly every Chinese take-out type restaurant offers fried rice on it's menu. Chinese fried rice is said to have originated in Sui dynasty between 589- 618 AD. 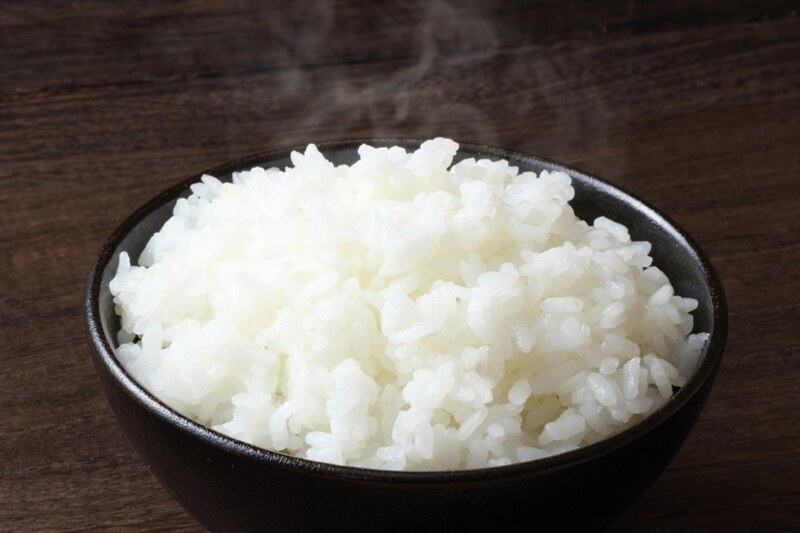 Southern China and India are the two top countries to produce rice. In a mixing bowl or container, toss the shrimp with salt and cornstarch and let it rest room temperature for 5-10 minutes. 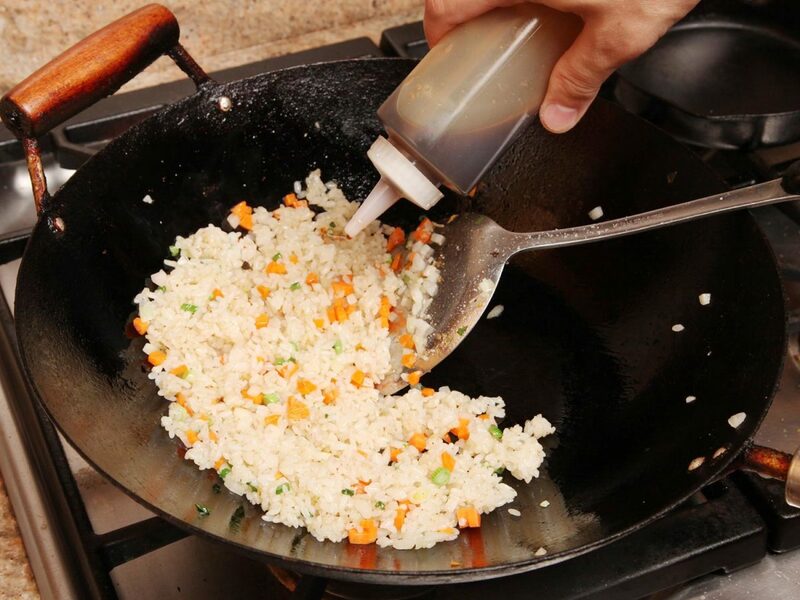 Place wok or large saute pan over medium to high heat. The pan needs to be very hot. 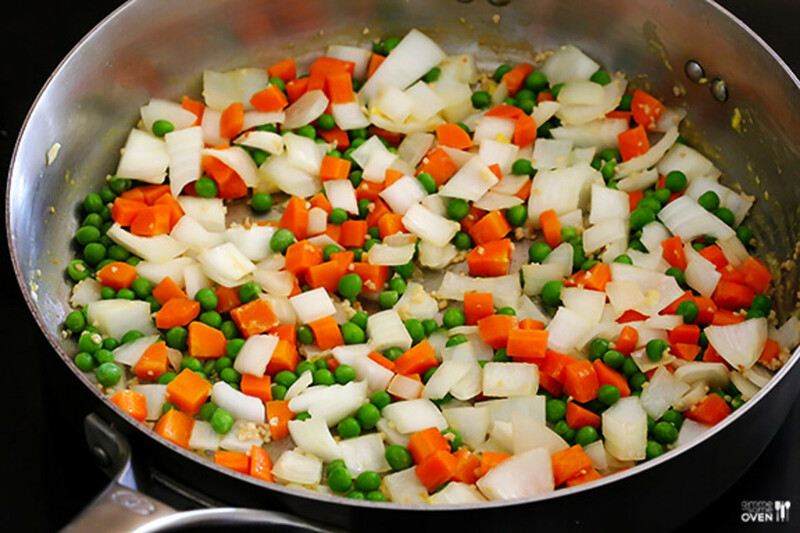 Add 2 tablespoons of vegetable oil. Add the shrimp to the pan and saute them for 1-2 minutes constantly moving the shrimp around until they begin to look opaque or pinkish in color. Place the shrimp aside into a continainer. Place the pan back over medium-high heat, add beaten eggs to the pan once its hot, and cook about 30 seconds to 1 minute. Transfer the eggs to a cutting board and cut into strips. Cooking in a wok over high heat is the more preferable method but a large saute pan works fine. Thank you. As for the corn starch, it is only to give a more crispy shrimp and can be omitted. If deciding to use it, shake off excess starch from shrimp and be sure pan is hot prior to adding shrimp. This should avoid what you decribed. I made it today! My husband and I love it. I was wondering whether the corn starch is necessary though, as it just stuck to the pan when I added the shrimp. I used olive oil instead of vegetable oil, if that matters. 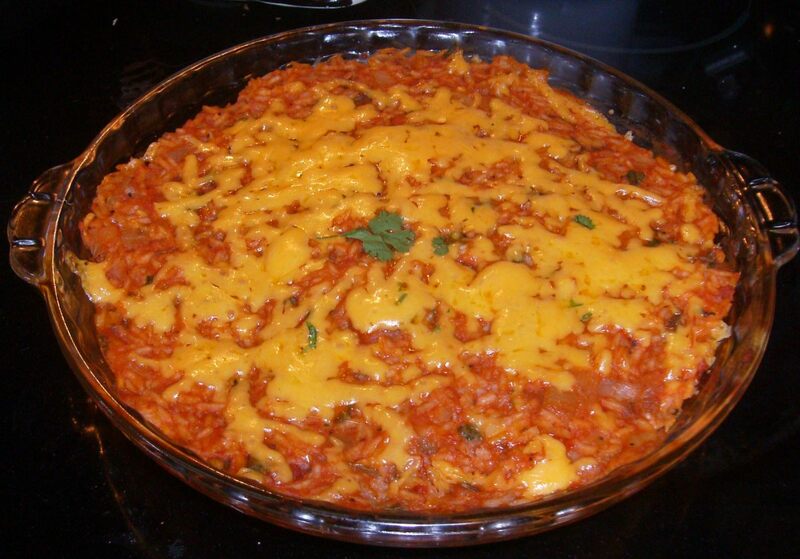 We like the subtle flavors of this dish and how it’s low calorie as well as filling. The carrots and shrimp really make it. Thanks again for this recipe, I’ll definitely be making it again in the future! 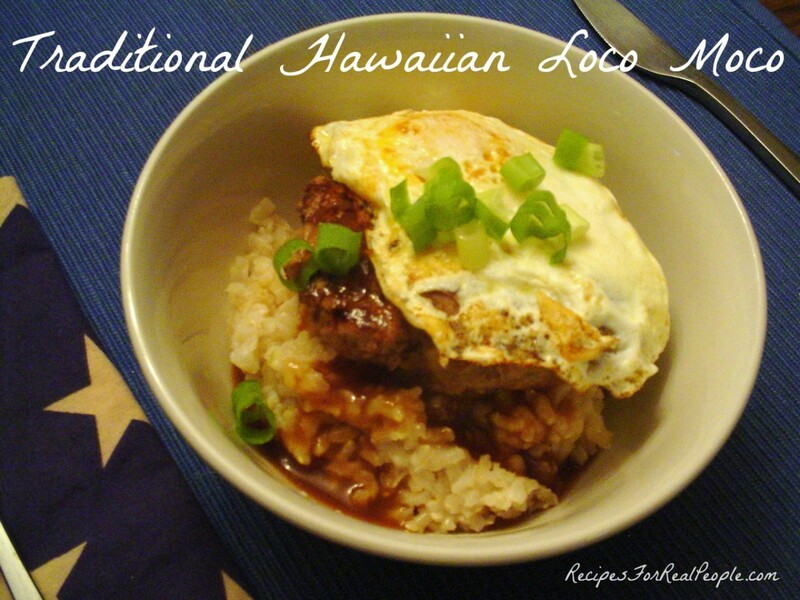 This looks so yummy and what an easy recipe! I’ll be cooking this for lunch today. Thank you for sharing.